Le Cordon Bleu Australia’s Chief Operational Officer, Derrick Casey appears in a SA-based video made in collaboration with the Department of the Premier and Cabinet and Alliance Française. In the film ‘Friends with France’, Derrick explains the economic and cultural benefits that Le Cordon Bleu brings to South Australia. 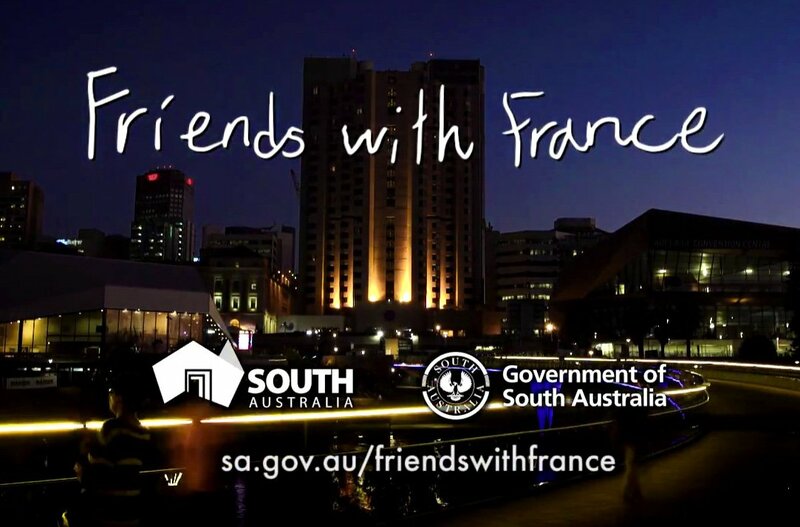 The Department of the Premier and Cabinet invited Le Cordon Bleu to collaborate in the video promoting the French/South Australia relationship as part of Alliance Française French Film Festival this month. The film showcases the relationship between South Australia and France using a range of case studies to demonstrate industry connections focusing on Defence, Education, and Arts. The story is narrated by a nine year old South Australian girl called Oona who is given a school project exploring the $50 billion Future Submarine Program between South Australia and French submarine builder DCNS. She is asked to interview members of her community to find examples of existing connections with France. First, Oona visits DCNS at Techport to interview Brent Clark (COO) about the 2,800 jobs that will be created and explores where the submarines will be built. Next, she drops into Australian Dance Theatre, and chats with Garry Stewart, Artistic Director who has trained and toured extensively in France (which is their biggest market). Oona then visits Le Cordon Bleu at Regency TAFE to interview Derrick Casey (COO) about our iconic French brand. He discusses why Le Cordon Bleu Australia has set up its academic HQ in Adelaide, and its positive impact on the State. Derrick explains that Le Cordon Bleu attracts international students to live and study in South Australia which has a positive economic impact on the State. Furthermore, our graduates work all over the world creating strong global business and cultural relationships which Le Cordon Bleu and our alumni nurture with pride. Finally, Oona interviews the Premier, Jay Weatherill who discusses how close ties with France are a positive for South Australia, and the range of job opportunities for young people to emerge from the contract with DCNS. Watch Oona’s adventure and uncover the deep ties South Australia enjoys with France!